Meet Samson, he’s a Car Lion. His job is protect the car he’s in against any unwanted attention. 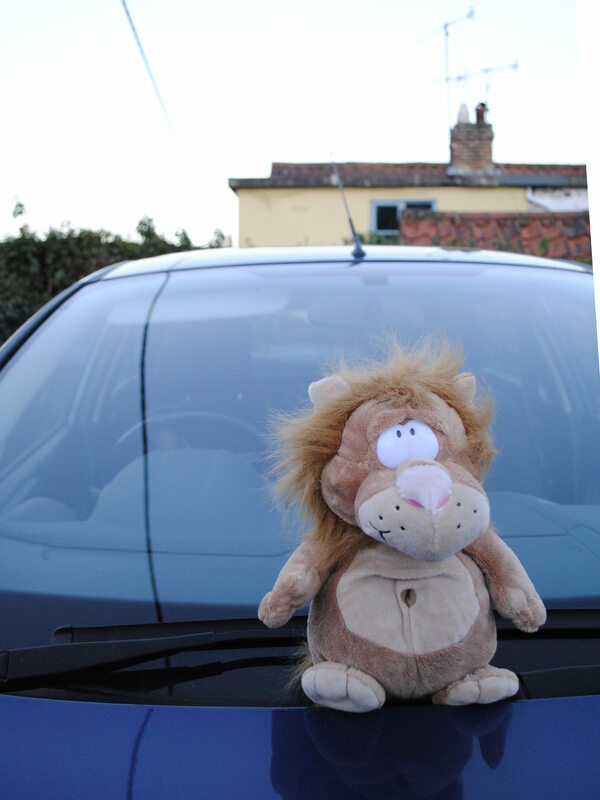 Currently he lives on the dash of our hauling, ferrying and carrying car – a Honda Jazz (aka Fit) called Delilah. Samson is a very happy Car Lion, Delilah is very spacious inside, so he has a large territory. The Jazz/Fit also has a considerable amount of glass in the cabin and the cab-forward design means that he has a large and very prominent area to prowl and make sure that all is in order. He also likes window stickers and we keep him well supplied with them. 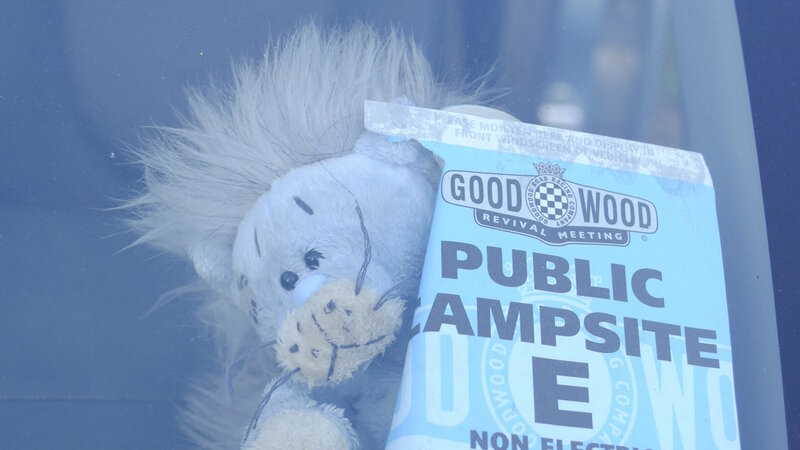 Now let me introduce you to another Car Lion with a less fortunate story. You see it came to pass that we needed to buy a second car. We didn’t really know what we needed or how long we’d need it for so we played it safe and bought a Ford Fiesta. We called the car “Rory” because he didn’t need a name, he was only “tempoRory” [sic]. It may surprise you to learn that Ford Fiestas are often supplied without a Car Lion to protect them. So we went to Africa Alive and came back with this gorgeous little fellow. 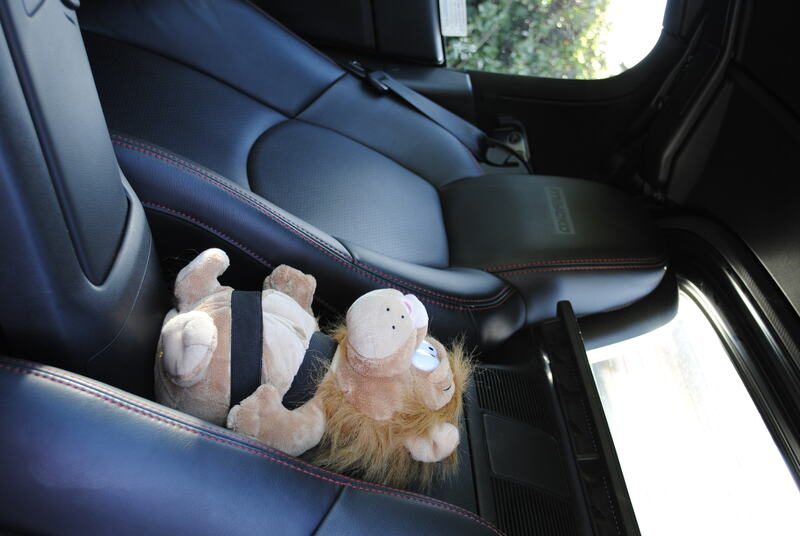 It was clear that this Car Lion was far too big to live on Rory’s dash though, so we came to an arrangement that he would live on the back seat. He liked to sleep a lot when he wasn’t on duty so he liked it there – it was warm and soft. Being somewhat larger than Samson he wasn’t too worried about being on higher ground because he could easily jump up and growl at any potential miscreant. 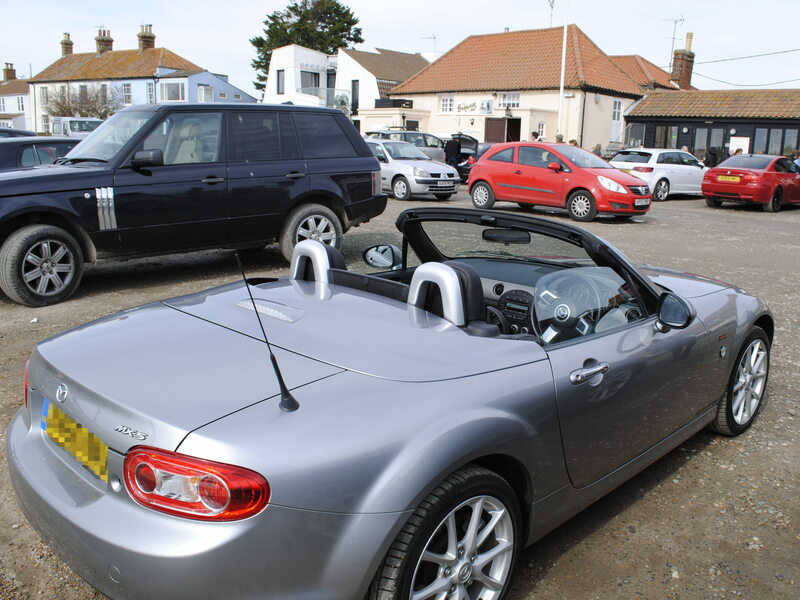 It’s true that Rory wasn’t as roomy as Delilah is, but it had some additional creature comforts such climate control and more importantly an MP3 player – because Car Lions have got to have their choonz. I have to admit that we didn’t really think about the Car Lion in Rory. He was there, doing his job and he seemed to be happy enough. It didn’t occur to me that we might be neglecting him – we had after all given Rory a name and we weren’t intending to keep Rory long. The poor Car Lion didn’t even have a name. It was when we sold Rory that it finally dawned on me. As I took him from the back seat the full horror hit me – the back seat. The car we replaced Rory with is a much more permanent affair, she’s called Mina and, well, the problem is rather obvious. So there were two things I needed to make up to our sadly anonymous Car Lion. 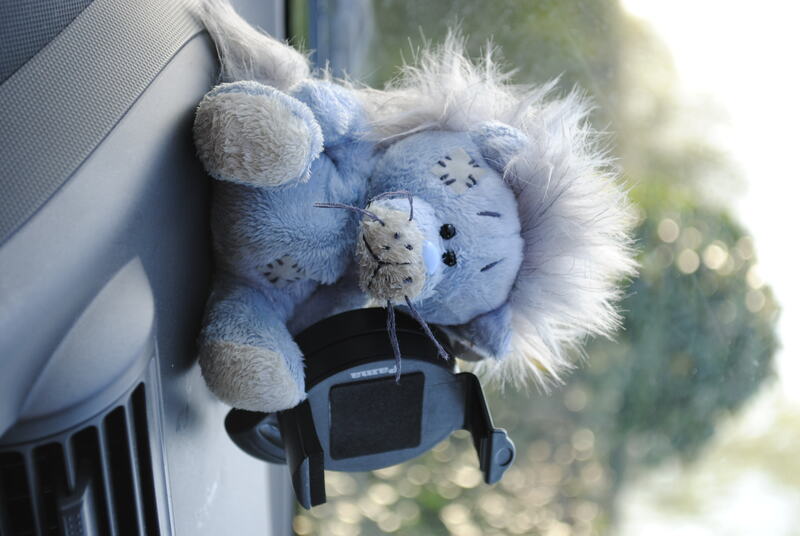 The first was easy for me – although Mina is very snug she’s a convertible which means that she makes an excellent home for a Car Lion. He can stay safe and warm when he needs to or go out and prowl as far as he likes. Being in the front seat however there was a problem – the car only has two seatbelts and he’s too big to have roaming around when we’re both in the car. So I made him a little seatbelt of his own. The second problem is more difficult – the obvious name for a Car Lion that protects a car called Mina is Jonathan, but Mina wasn’t his first car so I think calling him Jonathan is unfair, we need to respect the very good work he did protecting Rory. So what do we call him? 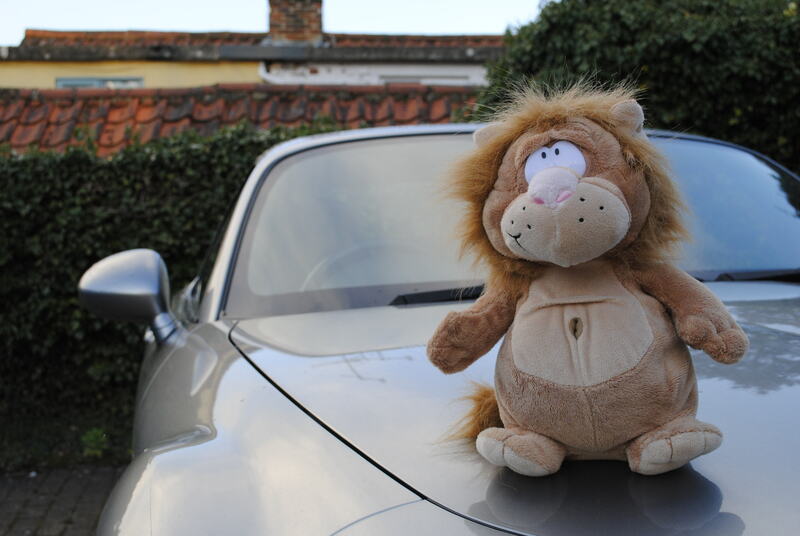 In the end we decided on a name, so meet Vito Car-Lione… He’d like to be your friend, and that’s an offer you can’t refuse. This entry was posted in Life, Motorsport on 2016-04-19 by Tom Fosdick.